DARTMOUTH, Mass. — Southcoast Behavioral Health announced today that William Drexel, DO, and Ronald Lee, MD, have joined the medical staff. Dr. Drexel earned undergraduate degrees in Biology and Psychology from Boston University. He later studied at New York College of Osteopathic Medicine where he obtained his Doctor of Osteopathy before beginning his psychiatric residency at Westchester Medical Center/New York Medical College. 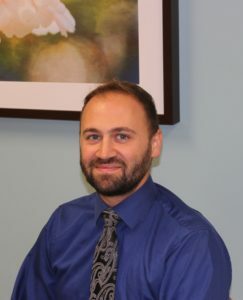 Dr. Drexel has experience working in special education with children who have developmental disabilities at Bradley Hospital in East Providence, R.I. He is also proficient in medical Spanish. , and was awarded a Masters of Science degree in Human Physiology/Biophysics at Georgetown University. Dr. Lee is a graduate of the Drexel University College of Medicine in Philadelphia, Pa. He did his medical internship at Hahnemann University Hospital, also in Philadelphia, and his psychiatry residency at Harvard South Shore, located at the Brockton campus of the VA Boston Healthcare System. 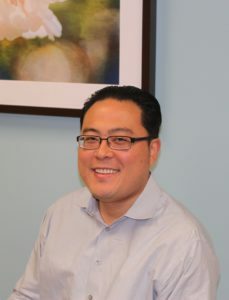 Dr. Lee completed his psychiatric residency at the University of Connecticut. He has been employed previously at the Westwood Lodge Psychiatric Hospital, Lowell Treatment Center, Arbour-Fuller Psychiatric Hospital in South Attleboro and the Becket Corporation of Group Homes. Conveniently located in Dartmouth, Mass., Southcoast Behavioral Health is a 120-bed psychiatric hospital that provides inpatient treatment for people with mental health diagnoses. Operating on the principle that all patients should receive treatment with kindness, compassion, dignity, respect, and hope, Southcoast Behavioral Health strives to be the leading provider of psychiatric care in Southeastern Massachusetts. The compassionate staff at Southcoast Behavioral Health, comprised of board-certified psychiatrists, licensed clinical social workers, registered nurses, recreational therapists, and mental health technicians, is dedicated to providing superior and effective psychiatric treatment in a safe, tranquil setting specially designed to help each patient find healing. Whether a patient is spending time relaxing in one of the outdoor courtyards or participating in one of the many workshops, groups, or social activities, Southcoast Behavioral Health is an ideal place for people to come heal and learn to manage the symptoms of their mental illness.